Exciting news!! I’ve been busy working behind the scenes to bring you a new VIDEO SERIES! 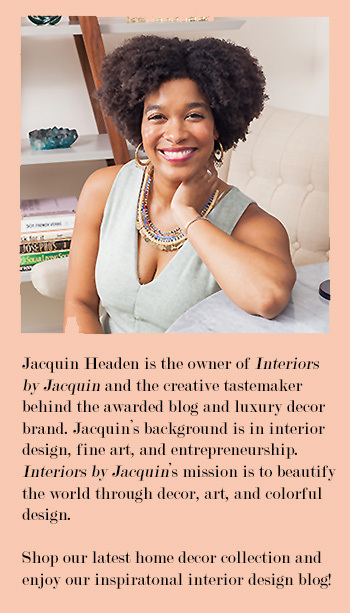 Interiors by Jacquin blog will now present an inspirational video post once a week. These videos will range from sharing home decor tutorials, to behind the scenes at events and showcasing studio visits with artists & designers. Our very first video will show you how to create a gorgeous floral arrangement at home. This particular floral arrangement has a unique architectural look that we achieved with a combination of flowers from the grocery store and with branches from the backyard. It’s really that easy, and now you can learn how to create this chic style of floral arrangement for yourself! Thank you to Ambra Portillo of Query Events for joining me in this video tutorial and lending her expert knowledge. With Ambra’s floral expertise and assistance, I am definitely feeling more confident with my floral arranging skills. 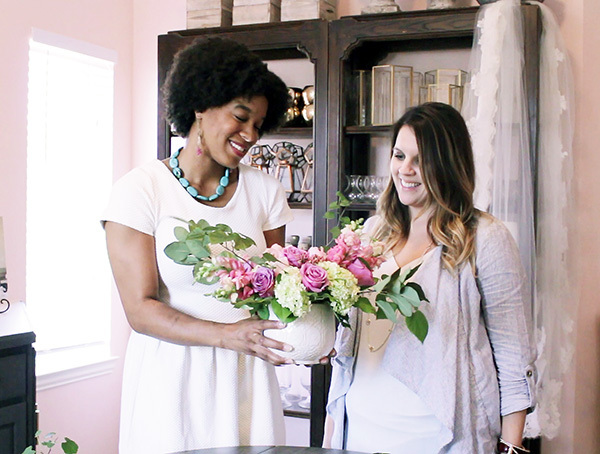 Ambra is a floral designer and owner of Query Events based in Ft. Worth, TX. 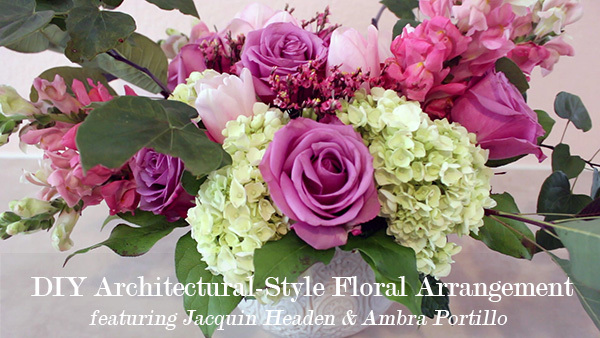 Here is our tutorial on creating your own architectural-style floral arrangement at home. We hope it inspires you! Make sure to SUBSCRIBE so that you don’t miss the next video in our series. Have a great week!